The SSLE is an invite-only event, focused exclusively on the most senior decision makers for Shared Services and Outsourcing. Streamlining and increasing the value of business services through robotics, innovation, and employee engagement, they share their insights into their own experiences and learn from yours. 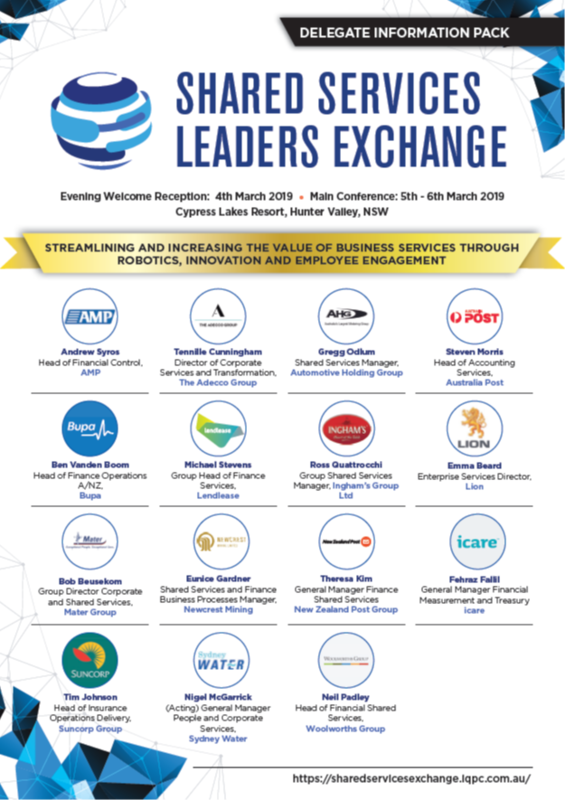 Complete the form below to download the Agenda for the 2019 Exchange to view all speakers, sessions, takeaways, key attendee criteria, and more.